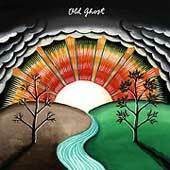 Old Ghost is a band that's hard to pin down, in a physical sense. Based on a little research on my part, I think they're from Seattle. And apparently, the primary force behind the band is Paul Hutzler, who sings and plays guitar as well as writes all the songs. But beyond that I can't tell you much about the history, origins, or antecedents of Old Ghost. I suppose that's a good thing as I have no real preconceived notions regarding this band, and the ten songs on Light Returns must speak for themselves. The album begins with Blinking Out the Dust, an "archaic" country-esque tune whose highlight is a particularly nice violin line. With the richness of the extended instrumentation throughout the song as well as the close vocal resemblance between Hutzler and Kurt Wagner, this track is reminiscent of older Lambchop. However, unlike that other band, the almost self-consciously country lyrics feel like an affectation. Nevertheless, the music itself is quite pleasant, if only for the slowly swaying 6/8 beat. The next song, Throw It Away, has a similar slowness and melancholy feel about it. Again, the band itself has a fullness to it which brings to mind Pinetop Seven. And with its excellent use of piano and a horn section, the music itself is quite pretty and haunting. However, in this case, Hutzler 's vocals are vaguely distracting, mainly because he has a very mannered style which overwhelms the delicate beauty of the melody. Nevertheless, Throw It Away is another enjoyable tune. Summer Days is first semi-upbeat song on Light Returns. It feels almost anthemic, and brings to mind a song like Levi Stubb's Tears by Billy Bragg. But as before I find myself concentrating on the alternate violin melody instead of the vocal line. However, after this song, the rest of the album has little different to offer. Either the songs have the same slowness of the first couple of tracks, or they are nominally upbeat. But whichever form the music takes, the violin, pedal steel, piano, and horn section always keep my attention. As an example, Black Coffee, Corn Whiskey returns to the slow instrumental fullness of the early tracks, while Hutzler's simple country chorus is perhaps the only potential "sing-along with the band" moment on Light Returns, despite its repetitive nature. In fact, the only light moment on the rest of the album is Marmalade, which is both relatively upbeat and slightly happy. But it's not enough to lift the mood of the album as a whole. In the end, I'm faced with a conundrum. It's clear that as musicians, Old Ghost knows how to construct a melody; however, the predictable country-clichéd lyrics distract from the songs. And since Hutzler's vocals are continually the loudest part of the mix, it's nearly impossible to ignore them. Furthermore, the unrelenting darkness and/or slowness of Light Returns becomes slightly overwhelming as you move through the album. Whereas bands like Lambchop or even The Potomac Accord manage to bring the listener to some sort of catharsis through the ebb and swell of their songs, Old Ghost doesn't offer any type of relief. Instead, the music seems to turn in upon itself, so that, most of the time, it feels very claustrophobic and almost depressing. Certainly, this may be the intention of the band, but after an extending listening session, I'm left with the thought of "Please, get these people some Prozac!" All of this sounds particularly harsh, I know. But I want to reiterate that I actually didn't dislike Light Returns. As I keep saying, the music is very very pretty, which makes it ever so pleasant to play in the background. The problem for me lies within the structure of the album and the feeling it invokes. But I also think that if someone is already a current fan of the archaic country genre, I suspect Old Ghost may be a band that they find quite enjoyable.